Spoiler alert- if you don’t know the winner of big brother do not read this blog!!! So if you guys didn’t know I really love strategic game shows like Survivor (well especially Survivor and watched Big Brother for the first time this year). I find it fascinating to see how people work together and what rationale they use for different moves. It’s a gimmicky social experiment but still a social experiment and I find it very entertaining and occasionally enlightening. Well Big Brother just ended last night and Derrick had been dominant the entire game. He had aligned himself closely with Victoria who was sweet but had done little strategically, and with Cody who had been more cutthroat throughout the game. In the final HOH Cody had the choice whether to take Victoria who had almost no chance to win or Derrick who hadn’t been nominated once out of 55 times for the block and had been allied with almost everyone. And he chose Derrick? Why? 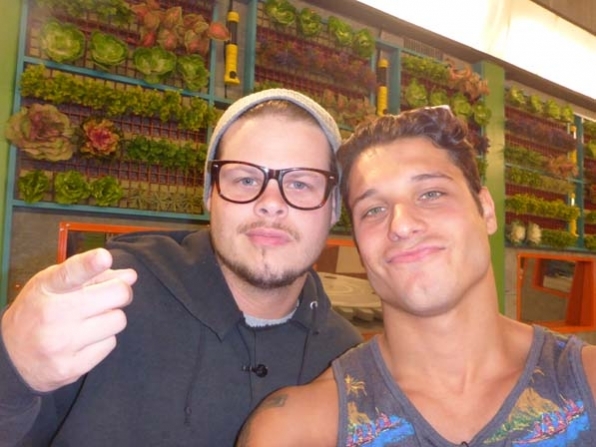 Cody could have won the 500k almost certainly but he chose his ally, his best friend in the game over a sure win. Many in my RHAP patron group couldn’t believe it. What a stupid move we all said! The interesting thing is earlier this year in the fantastic Survivor Cagayan season we had almost the same situation unfold. Kass had been an angry version of Victoria. She had burned bridges with everyone and just been very unpleasant all season (I would go nuts with someone like her!). Then there was Woo who was a taikwondo instructor and his ally Tony who had played like a maniac all season building spy shacks, cutting alliance members and speaking in llama (probably my personal favorite survivor player ever). Just like with Big Brother Woo, the calm, team player, won the final immunity challenge and had the chance to take Kass to the end and win a million dollars, and he chose Tony out of loyalty and respect. Both Cody and Woo said they felt their partners had ‘earned his spot in the finale’ and they’d rather lose to their friend than win to a nothing person. Seeing these two scenarios play out so close together had me thinking. Now you might be thinking how can an urban tribe exist in a game show where people are voting people off the tribe? Isn’t that counter-intuitive? Yes, and no. First of all, not everyone playing the game is used to living in an urban tribe environment but the young single (especially men) are, so they are perhaps most vulnerable to this type of attachment. But aside from the votes, which some like Woo and Cody are basically kept safe from, the dynamics of alliances and a tribe/house are near-perfect urban tribes. 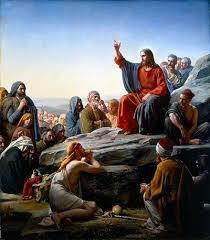 They satisfy family roles, traditions, gossip, work (challenges), insight etc. So if you are a young person who is used to living in an urban tribe environment like frat boy Cody or martial arts instructor Woo perhaps their choices at final 3 aren’t that surprising? Both Tony and Derrick were very confident they would be picked so it didn’t seem to be a tough decision. It was that much a part of who they are to make the choice easy. 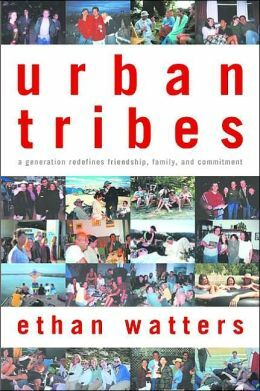 I am less an urban tribe dweller now I am 33 but there was a time when I fit the description and I ate up Watters book. I felt like someone was finally telling me my life wasn’t a total waste of time because I was unmarried. You should see my copy it is underlined and highlighted. So, there is a time when I would have absolutely made the same choices as Cody and Woo. In fact, I’m still a very loyal and friend-oriented single person so I might still do it today. And people say ‘it’s only 39 days or 3 months’? How can you get that kind of urban tribe bond in such a short period of time. I actually find that completely believable. On my mission I was isolated from my family and friends and there were people I would have cut off my arm for if they had asked me. I would have done anything for them. And most of the time I had only known them for a few weeks. My companions I had for 6-12 weeks and I was incredibly loyal to them (some I wanted to rip their head off but most I liked!). In fact, when you are in that kind of intense experience the bonds form even faster, and I know if I was on an island somewhere you can bet I would form an urban tribe real quick that would be tough to severe for money. I realize it is a game but I just think the culture of urban tribes has created a loyalty-over-all-else culture and I’m actually glad to see it. It’s kind of refreshing in a way. Especially as a single girl, it is nice to know there are guys out there who put loyalty and friendship over money and success. As a married woman I might want it differently but I don’t know? Now that I am in my 30s, some friends are gone and this type of close-knit bond is harder to find for daily support. But fortunately I have my roommate and great friends who are there when I need them. They are honestly more important to me than family as far as this type of support goes. I could be completely wrong and an urban tribe mentality may have nothing to do with Cody or Woo’s choices but it seems probable. I can at least imagine it influencing them. 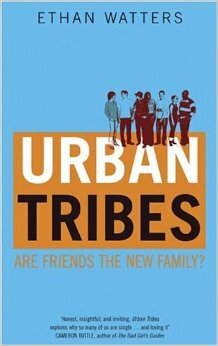 What do you think of urban tribes? Do you watch Survivor or Big Brother? Did you watch these seasons? What do you think? In the end, friendship is everything to some of us (and seriously Urban Tribes by Ethan Watters is a great book!). Tonight was one of my first big nights out since my injury. I have long wanted to go to the circus but my friends are all scared of clowns and so nobody ever wanted to go. 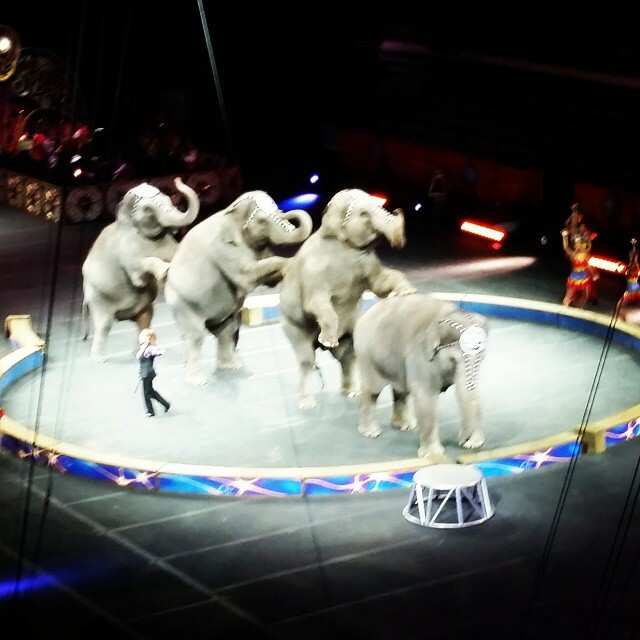 I was talking about it with my friend Lisa and it turns out she liked the circus! 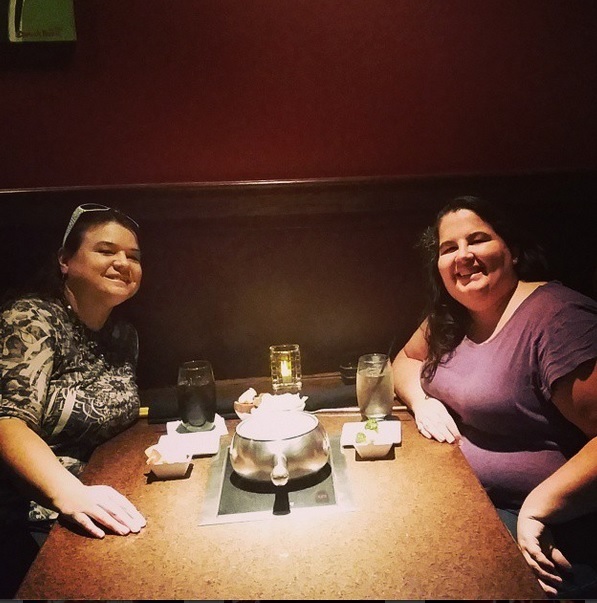 So tonight we went to The Melting Pot, which I’ve also wanted to go to for a while. There was a thing called Dino-O-Round in SLC where we got a discount. I had never been there before and it was a fun experience . 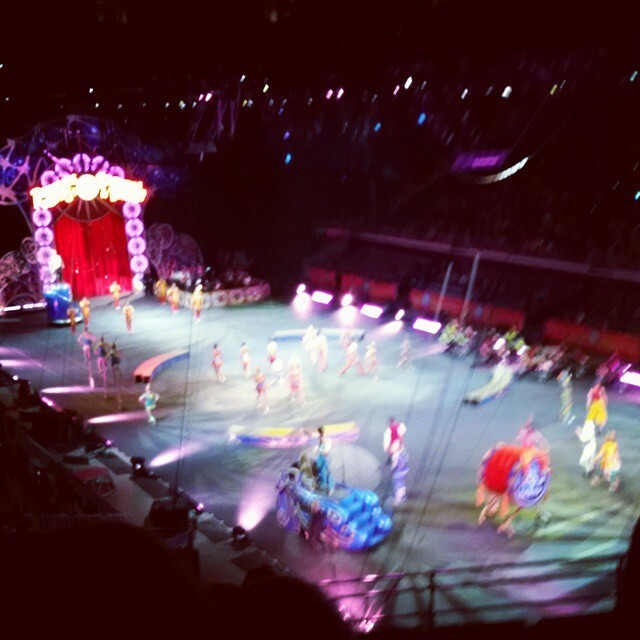 After fondue we went to see the circus. 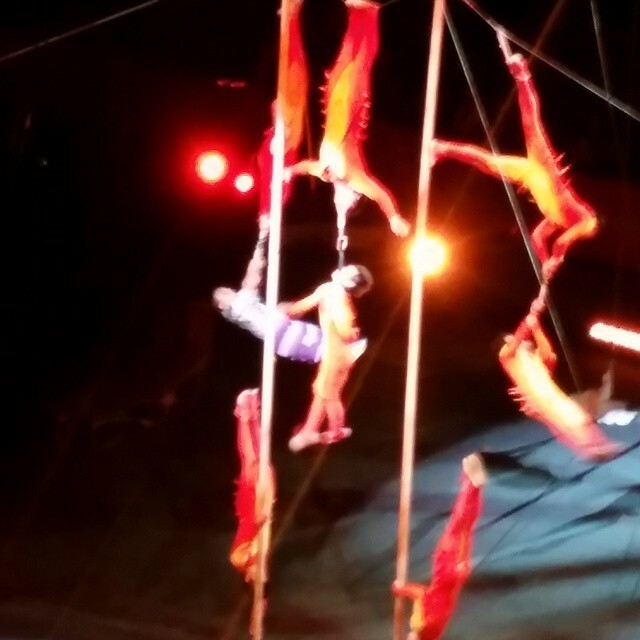 There were also trapeze artists who were amazing to watch. I’d definitely go again if I get the opportunity. They had a live band, the colors were bright and performers engaging. All in all it was a great show! So a very fun night on the town. Do you guys like the circus or are you afraid of clowns? I’m surprised how little the clowns are even in it and they were a lot of fun. 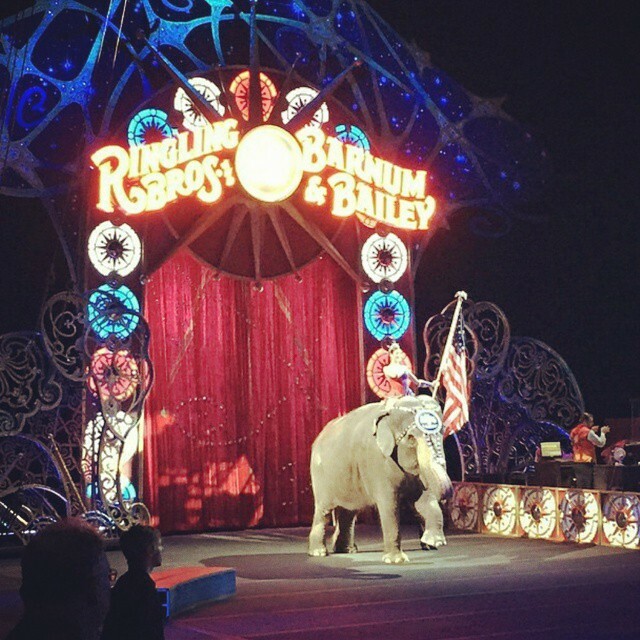 Most of it is acrobatics and animal tricks. Very entertaining and I highly recommend it! 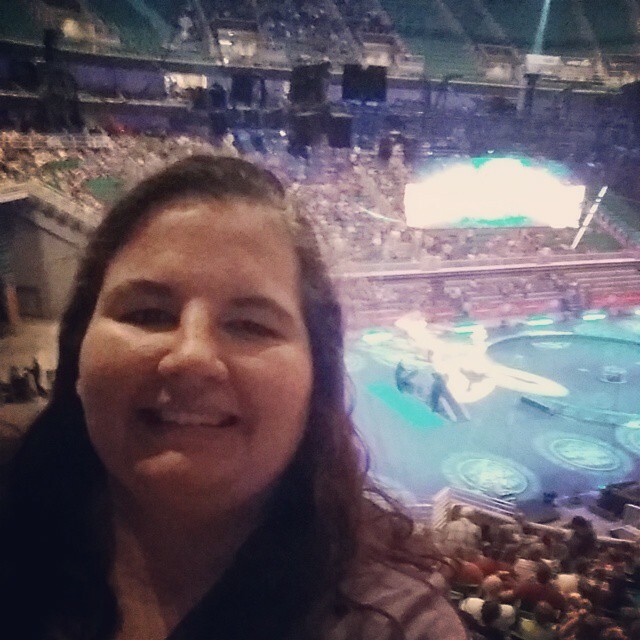 At the least it is fun to do something new and different every once in a while and going to the circus was definitely one of those things for me. Fun to step out of the box every now and then. And if you are concerned about the animal care they go to pretty extreme levels to make sure they are well cared for and treated with kindness. Not an issue for me. I was asked at work to write a blog about a fun thing to do in the outdoors in Utah. So I put together this post on the GSL. Most of it will be review for regular readers but I thought I might as well share it. What’s the first thing that comes to your mind when you think of Utah? Most Americans would probably answer 1. Mormons and 2. Great Salt Lake (maybe skiing or the Olympics for 3rd?). I’ve lived in Utah for most of my adult life and the interesting thing is until 2011 I had never been to see the Great Salt Lake. I had driven by it but not stopped to take a look and certainly not swam in it. I would bet 80-90% of Utahns were like me and had never set foot near the Great Salt Lake. This is funny because daily buses of Chinese tourists come up to take a look at it. 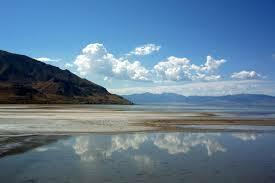 Why don’t people go to the Great Salt Lake? Well, the long and short of it is- it smells. Sounds pretty unpleasant right? WRONG! I was in the ‘who swims in GSL?’ camp most my life but in 2011 I discovered open water swimming and my life has never been the same. As great as pool swimming can be (I love any kind of water) there is something special about being out in nature where the water is unpredictable and full of surprises. And no body of water is more unpredictable than the Great Salt Lake. It’s a totally unique and exhilarating experience. You step in the water and your skin prickles. My friend calls it going for a quick pickle. Every pore in your body reacts and burns (people think it is like the ocean and it is not at all). It’s a wild experience but to me that is part of the fun of it. There are so few times in life we can do something special and when I swim the GSL I can honestly say I’m 1 of only a handful of dedicated swimmers who have that same experience each year. That’s pretty cool! Plus, it really is beautiful. The older I get the harder it is to be genuinely surprised by anything and each time I swim in the Great Salt Lake (or any open water) it feels new and unexpected. 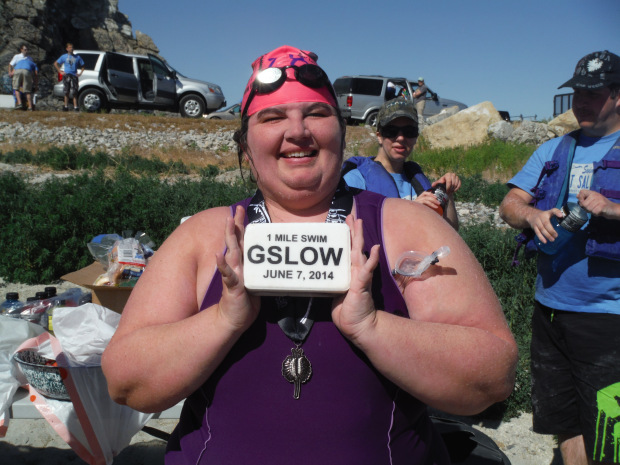 Every year on the first Saturday of June my swim club Salt Lake Open Water (SLOW) sponsors a 1 mile swim in the Great Salt Lake and it is tough in every way. But it is also exhilarating. I have done it 3 times and each time goes down as one of the best days of my life. To challenge and conquer nature is an experience every human being should have. Make sure to go early in the summer (May and June) because later there are too many spiders and bugs. Always go with friends when open water swimming and wear a safe swimmer so you are visible to boaters. Contact SLOW on facebook and find out when swimmers are going and join in. 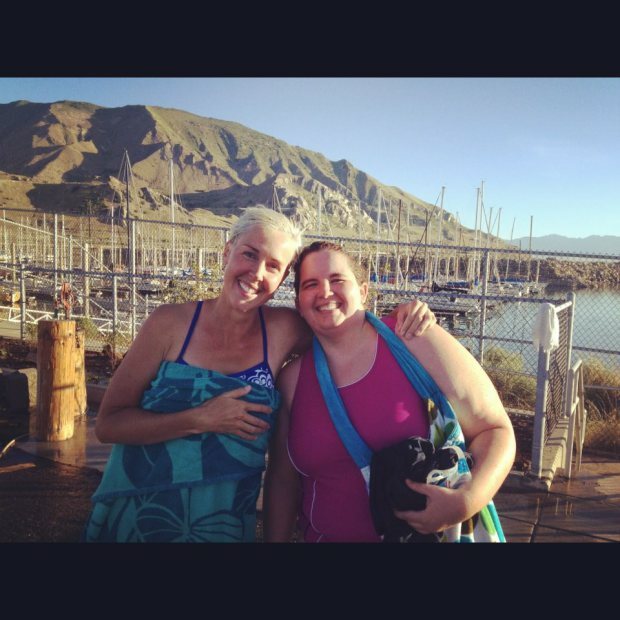 There are members of the Wasatch Front Polar Bear Club who swim GSL year-round! Count your strokes. This has helped me so much with open water. The shoreline can feel like a mirage but when you focus on 20 more strokes, 50 more strokes, you will get there. I promise! Sighting can be helpful but GSL is tricky since nothing grows around it that’s why best to go with group. Oddly the smell is much worse just outside the lake than when you are swimming in it. I don’t know if you just don’t notice it but it really is a non-issue in the water. Wouldn’t recommend shaving anywhere right before going in the GSL. It will burn! 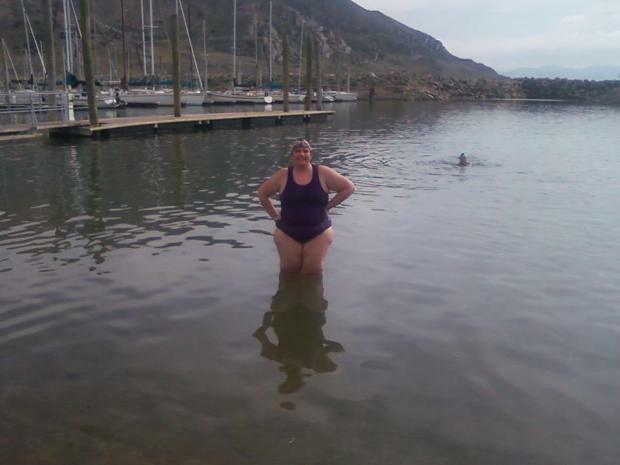 I’m probably not making it sound like very much fun but swimming in the Great Salt Lake is an adventure. It’s something you can gather with friends and take on together. It’s a beautiful part of my home state and I recommend everyone give it a shot, smell and all. 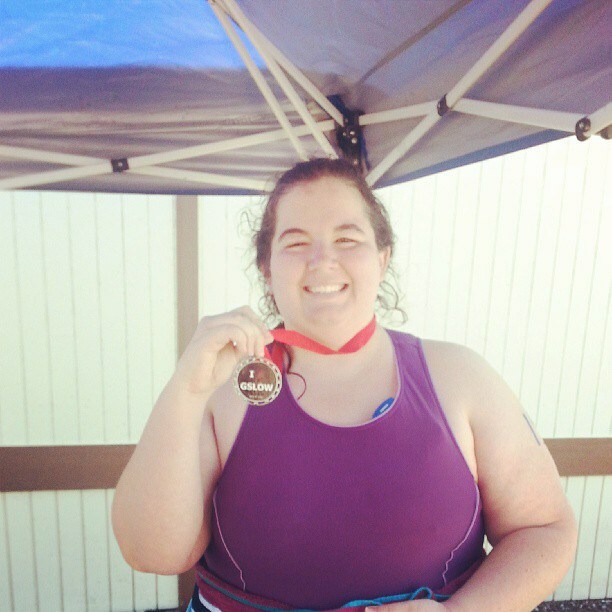 Open water swimming also teaches me about life every time I am in the water. The shoreline can feel so far off but if I push through and don’t give up I will prevail. That’s one of many lessons I’ve gotten from the sport over the years. Oh and you do float which is kind of cool! 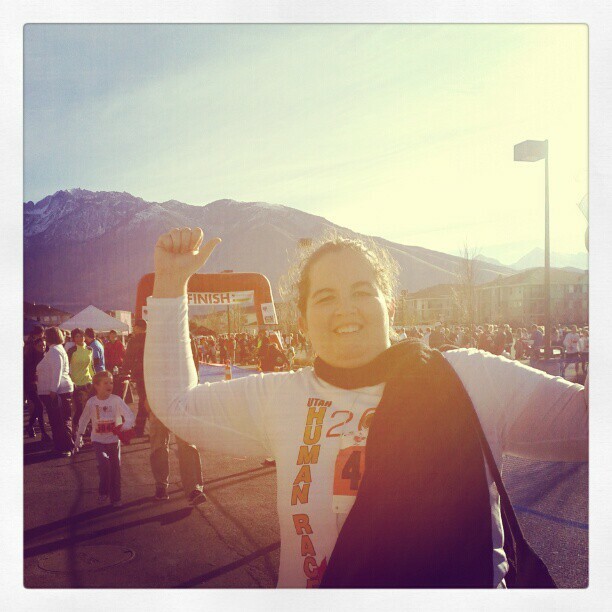 Here I am getting interviewed after my 2013 race, which was incredibly difficult for me to finish but I did it! Next time you are in Utah let me know and let’s swim GSL together! Sorry it has been a few days since I posted but keeping up 2 blogs has been a hard endeavor. I hope you are all following my entries in the Disney Canon blog. I’m having a blast writing them and I’m proud of how professional they are. I should do Mulan tonight or tomorrow and that one is a lot of fun. Please log on and add your comments and suggestions. I haven’t had a ton of other things going on. Still trying to be 100% with the old knee but not there yet. I’m still not cooking or standing for long periods but able to do many things and seeing improvement. I got to do a fun project for work where I put together a playlist of songs that will go well with October. We do a tumblr where we send subscribers a song of the day on spotify. I tried to do a good mix of obscure and well known and not all darkness but magic and moonlight seemed perfect fit for October. Let me know what you think of my list and give me your own favorite October songs. Way back in July I did a post called Adventures in Reading pt 1 all about comic books. The whole point was to dive into different types of writing I had never read before. Before the project I hadn’t read a single comic book and yet I would see the movies and wasn’t that big a fan. I thought maybe if I knew the art behind the movie I might appreciate them more and for the most part it worked. There were some things I didn’t like such as the treatment of women but I’ve been reading more of them and they have gotten much better in recent years. Either way, it is fun to try new things and step out of your comfort zone. However, not every step out of the comfort zone is successful. 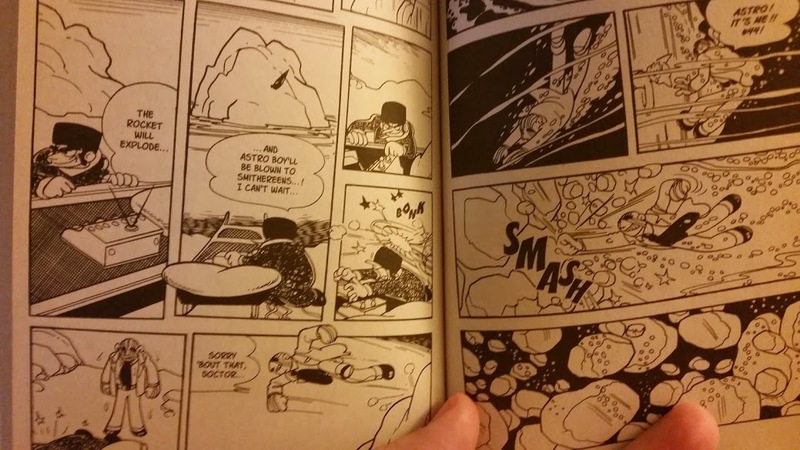 My next adventure was to read ‘manga’ which are kind of like a Japanese comic book and graphic novel morphed together. For the project I picked 7 different series- Fruits Basket, Chi’s Sweet Home, Astro Boy, Attack on Titan, Yotsuba, Dragonball, and the Black Butler. 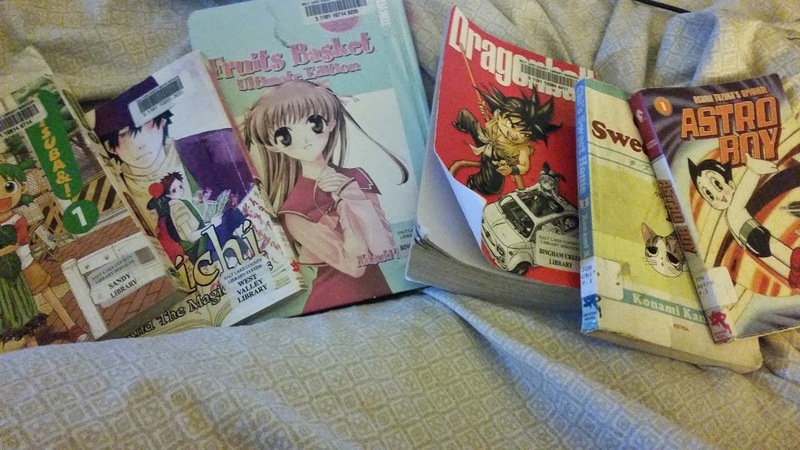 I decided on these 7 by looking online at family friendly manga articles. Each of these series would be fine content-wise for teens and children with the exception of Attack on Titan that is pretty violent. Oddly enough it was actually my favorite but more for teens and adults than children. The reason why it has taken me so long to write this post is I found myself struggling to get through them. 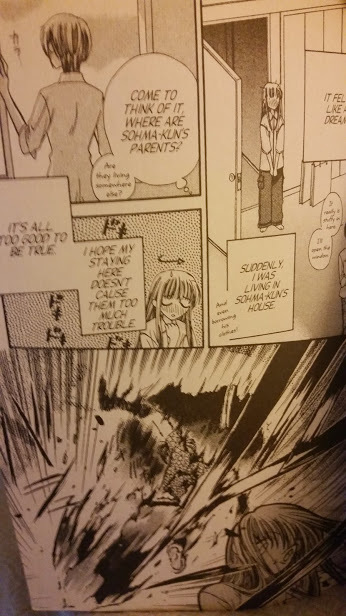 That may be strange thing to say about children’s books but let’s just say manga is not my favorite. A lot of the pacing felt schizophrenic. One minute a character would be talking and then the next an explosion. 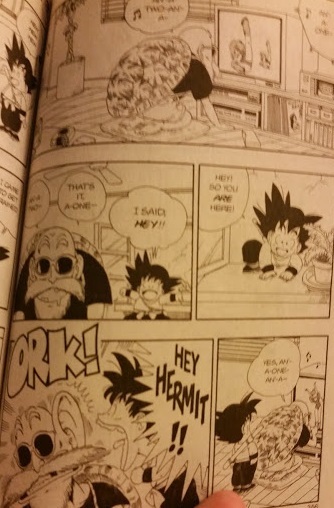 And from Dragonball (which was one of the better one’s). But characters would go from normal talking to screaming at each other with no real reason. She’s getting ‘caughted by a bad person’. and then ‘Leave it to me to take care of the bad person’. In all of them the dialogue felt choppy and disjointed, which made them unpleasant and difficult to read. I have to believe the Japanese is more nuanced and fluid. A lot of it felt like the old 60s Batman show with the expressions of “pow”, “bam”, “crash” thrown in instead of interesting setting, characters or plot. In a way it is surprising to me because in the anime, which are based on many of these books. the backstory and legends are usually quite complicated and intricate. 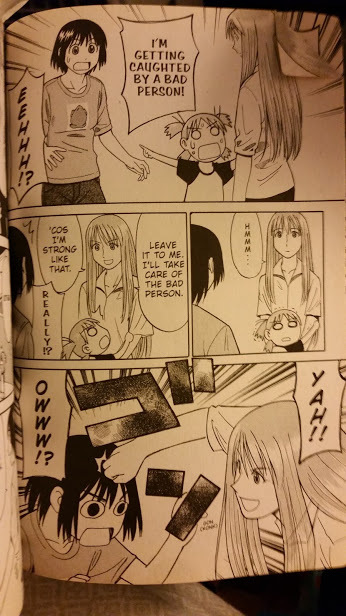 I didn’t get any of that feel in reading the manga. It’s funny these are so popular in Japan because almost all featured a blonde haired girl in the lead. You’d think Japanese kids would want stories of kids they can relate to and look like them. But regardless of looks I just couldn’t get immersed in the stories. It felt too spastic and choppy. I don’t know if it is just the lack of color but I prefer the artistry of comic books and the story actually. Of the 7 series I read none of them enticed me to explore the franchises more. 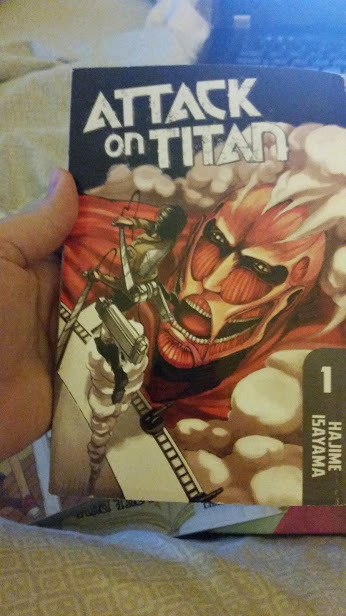 I guess not everything in life is going to be my taste but I’m still glad I gave it a shot and tried something new. . Now when people mention manga I will have a little more understanding of what they are like and how the stories are structured. And you never know when you will hit upon something new that you really love unless you give it a shot. 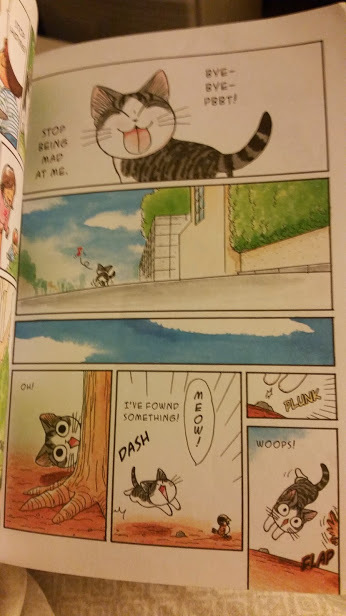 So, manga is not for me but I’m glad I went on the adventure. What do you think of manga? Any I didn’t try which you think I should? Now on to graphic novels. Any suggestions? 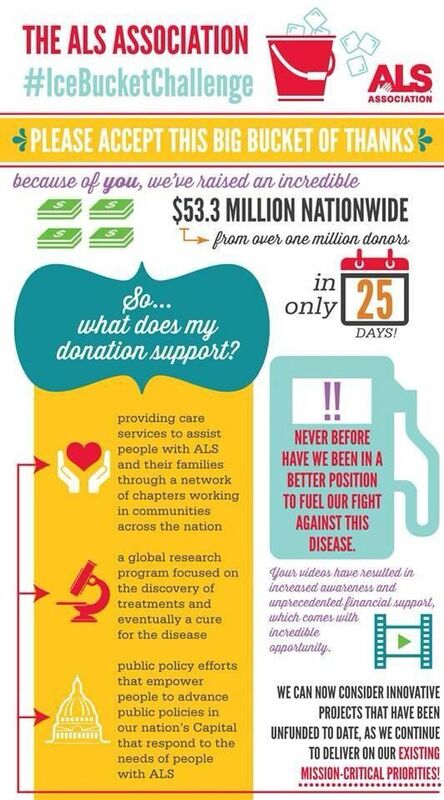 Recently the internet was all abuzz with the ALS ice bucket challenge. Fortunately people took pity on me with my injury and did not challenge me but I fully support the cause and making a donation to ALS for their non-embryonic stem cell research to try and thwart the horrible illness that is ALS. Of course with any big movement you have the companion backlash, which to be honest kind of bums me out. The internet is used for bad things so often that why pick apart people who are part of a movement that has done good things and at worst are having fun with water? But one part of the criticism has kept me wondering for a few weeks. Some have said people are only doing something good so they can look like a good person. While I think that is a pretty cynical attitude to be taking (everyone I know who did it genuinely wanted to have fun and spread awareness, be part of something bigger than yourself) I’m sure it applies to some who just want attention. But is attention for doing something good, or being a good person, a bad thing? If we look at scriptures it is a little confusing. Jesus did many of his acts of service in large crowds with onlookers and observers noticing his goodness and even becoming converted as a result. As a missionary I wore my calling on my tag and went out proclaiming the gospel. There was no attempt to hide the good message I believed in. But the scriptures also teach us to not moan over our fastings and sacraments to ‘be seen of men’. Those ‘have their reward’. So we are to proclaim goodness and serve but not be doing it for that reward. Such problem motives are easy to see in ourselves but I would be extremely hesitant to judge anyone else in that regard. And what about movements? Does that lessen the impact whether public or not if lots of people are doing it? Is the first person who did the ice bucket challenge a better person than the one millionth? Does something’s goodness get lessened because ‘so and so challenged me, and I’m challenging her’? Is that the equivalent of a french pastry that starts out beautiful but the more hands it touches the more distasteful it becomes? While the message certainly gets diluted, I don’t think it is so much so that it turns from a good thing to a bad thing. It’s just a good thing that took a little bit longer to get to some than others. I had an interesting experience in college. For years from high school until my mission I seemed to always be in put in charge of running sub-4-santa programs whether it was for church, choir or school organizations. One year we were assigned a latino family that lived in a small basement apartment. We sacrificed and gave them the best Christmas we could and gathered to give the presents and set up their tree. When we arrived at the small apartment the mother had made tamales (which are like my favorite thing!) and we had such a wonderful time. She had given of herself and so had we. It was a perfect Christmas moment. That is why the next year I was so surprised when I shared the story with my co-chair and he looked very skeptically at me and said he would rather drop the items off anonymously. He felt there was less value in the giving when a ‘big to do’ was made of it. I remember it stinging a little bit because I felt he was calling into question the wonderful experience we had all had (much like the ALS critics). So, we did it anonymously that year and you know what it was a forgettable experience. Maybe it is more noble to serve anonymously without any public acknowledgment but if it is forgettable and doesn’t bond you with other humans I’m not sure? Plus nobody is encouraged to pass the service on when it is boring. 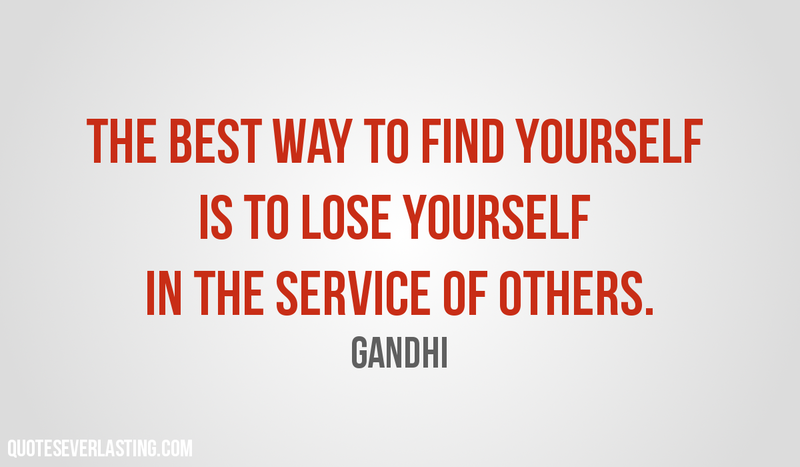 At least most of us need a little enthusiasm and sentimentality to get motivated to serve. The other aspect to the ice bucket challenge is to remember that the internet at it’s best is a massive community. And really communities have been part of collectively doing good things together since the idea of community. 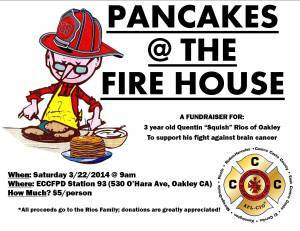 Think of your typical pancake breakfast to help a church or a firehouse. You are going to tell me that everyone there is attending for noble purposes? No just like with the ice bucket challenge some are attending to look good to others, some to socialize, some to eat, laugh, and some to encourage others to support the firehouse. All those reasons besides the eating can be seen in why people poured ice over their head online. You could make the argument that nobody makes money off of going to a pancake breakfast; however, the number of people who make serious money on youtube are very small. So the idea that even celebrities are posting ice bucket videos to draw attention and make money for themselves and not the cause is pretty far fetched. 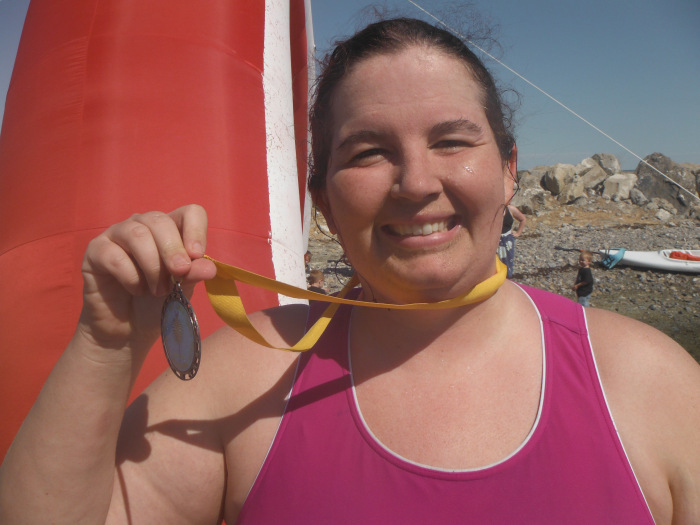 What about 5k runs that people participate in for a variety of reasons not just the cause? That’s still a good thing they are doing even if it isn’t a primary motivator. Would I be better off running by myself and donating in private? I don’t think so. Some say they just want to show off how good of a person they are. Well, again given all of the ways people show off how bad a person they are is that such a bad thing? How pleasant was it for about a week to have TMZ and E! gawkers talking about something good and not rehabs, overdoses and fashion disasters. I think it is also easy to call into question the motives of people we don’t know, especially if they are famous, while defending those we do. It’s the same reason why most people like and trust their local congressman or woman and yet are very cynical and critical of Congress as a whole. It’d be nice if we could give everyone the benefit of the doubt especially when what they are doing doesn’t hurt anyone or cost anyone anything. To me it was very discouraging to look at videos and see tons of scathing comments full of criticisms of motives, wasting water and a million other flaws. Criticizing the movement as a whole is one thing but individuals who are trying in their mind to do something good it bums me out. So what does all this rambling mean? I don’t know. I’ve been thinking about this topic in my scripture study for weeks and have found evidence on both sides. Some scriptures seem to say to avoid large proclamations and others condemn those who hide their talents (or testimonies) under a bushel. I certainly don’t think something is inherently less valuable because it is part of a movement or publicized. If that was the case no major religion would have value because they have always been part of large movements and publicized. I guess in the end I prefer to be positive and assume the best of intentions. I choose to see the videos and smile and I would challenge you to as well. So what if a tiny minority is doing it solely for appearances. You can’t control others motivations. Look for the best in people and move on and even if it is for show it is something for show that did something good; whereas, a million other movements like gangnam style dance videos, were merely for fun (which has value). And finally if you don’t like a movement nobody is forcing you to watch videos. Just make your donation in private and move on. So that is my ramblings. What do you think? Is doing good publicly better or do you agree with my old college co-chair it is better to be private, anonymous and humbly serve?